Excerpt from "The Filming of 'The Corbomite Maneuver' "
Accused of trespassing in a foreign galaxy, the USS Enterprise engages in an eerie mid-space confrontation with the flagship vessel of an alien civilization, in “The Corbomite Maneuver” on the NBC Television Network colorcast of Star Trek Thursday Nov. 10.... When it becomes obvious that the enemy vessel is vastly superior in size and weaponry, Captain James Kirk (William Shatner) vainly resorts to evasive tactics, only to have his craft rendered powerless by his adversary, Captain Balok (Clint Howard). A battle of wits ensues between the two spacecraft commanders when Kirk angrily defies a surrender ultimatum in a desperate ruse to gain time. Planned as 6 day production; finishing 1/2 day behind; total cost: $190,430). Tuesday, May 24, 1966. The No. 1 song on U.S. radio was “Monday, Monday” by The Mamas and the Papas. CBS had the top rated TV program from the night before -- Desilu’s own The Lucy Show. The Broadway play Mame was opening for the first of 1508 performances at the Winter Garden Theater. 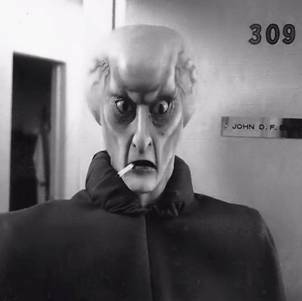 And this was kickoff day for production on Star Trek, the original series. 1. Assistant director should convey to my office, or in my absence to the office concerned, at noon and at late afternoon before our office closes, a simple verbal report of pages completed and any problems or information pertinent. 2. John D.F. Black should establish a routine of visiting the set once morning and afternoon, establishing that the tenor and mood of the scenes being photographed are generally in keeping with the script and our discussions with the director. If this is found not to be the case, he and I should confer on the subject immediately. 3. None of the above is meant to replace or supersede R. Justman’s normal production responsibilities and routines. 4. Cameramen and script supervisor have been alerted to flash this office should the director depart appreciably from dialogue, characterization, etc. In my absence or unavailability, John D.F. Black will handle the matter as appears best. 5. Notification from set of deviation from production planning and routine will be handled by R. Justman. 6. Where possible, in order to insulate us from actor problems and maintain our friendly relationship with cast, complaints from actors, unusual or special requests from them, etc., should be passed on to Morris Chapnick of Herb Solow’s office…. This was not Roddenberry’s first time around the block; not his first series; not, for that matter, his first war. 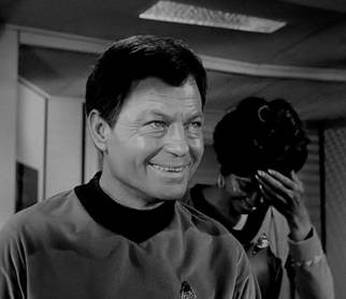 The first scene on schedule was Kirk’s physical in sickbay, accompanied by the verbal sparring with Dr. McCoy. It was also when Roddenberry’s meticulous plan went to hell. 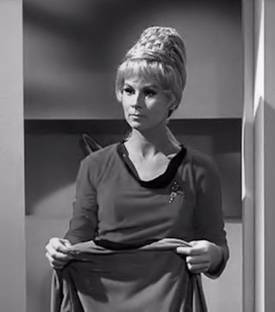 Roddenberry, not always willing to bend, relented. Sargent said, “Leonard came up to me and he was ready to quit. He said, ‘Joe, I can’t take this. I’m an actor and I don’t know how to play a character that has no emotion.’ As an actor, he was trained to work for an emotional element in his character, and he felt there wasn’t any. Having been trained myself as an actor, I knew exactly what was bothering him. Fortunately, I was able to make a virtue out of something that, for him, seemed awfully negative, and I convinced him that having so-called ‘no emotion’ was just an external aspect of the character’s element. It didn’t have anything to do with the richness of his intellectuality. He was merely able to conquer the emotional distortions that can interfere with reasoning.” (151) Nimoy remembered, “The director gave me a brilliant note which said: ‘Be different. Be the scientist. Be detached. See it as something that’s a curiosity rather than a threat.’ I said, ‘Fascinating.’ Well, a big chunk of the character was born right there.” (128-18) Nimoy was not the only one who very nearly quit. Sargent remembered how Jerry Finnerman still wanted to jump ship. 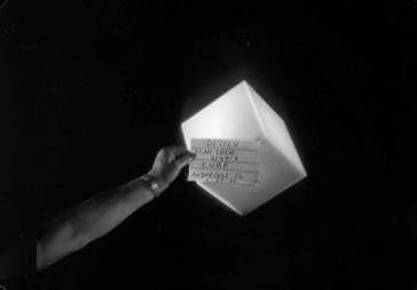 Even with the production schedule this relaxed, spending more time on a single set than any other episode, Finnerman was overwhelmed by the pressure of running the camera and lighting units -- an immense responsibility for anyone, especially someone who had never done it before. Sargent started filming at 8 a.m., shooting around Nichols until she made it to the set at 9:50. He took his last shot at 7:15 (a full hour into overtime pay for the crew). Meanwhile, the grownups continued filming until 6:50 p.m., followed by the removal of makeup and wrapping the set. Day 6, Wednesday. Work continued for the first half of the day on the bridge set, and then the company moved to the briefing room. Later, this set was redressed for the interior of Balok’s ship. 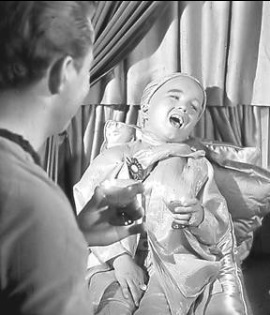 Clint Howard said, “I certainly appreciated the whole sort of spaceship fantasy thing of being on the Enterprise. I certainly thought it was cool. I had my dad take some snapshots of me sitting in the captain’s chair. But, even at that age, I understood I had a job to do. I knew I was playing a 400-year-old little alien who ran this giant spaceship all by himself. And I knew that I was curious and that I had the power over the Enterprise. Day 7, Thursday, June 2, 1966. Even with all the action taking place on a single stage, Joseph Sargent had fallen behind, delaying the start of the next scheduled production (“Mudd’s Women”) by a half day. He took his last shots in the transporter room. June 3 through October 31, 1966. Music score recorded on September 20, 1966. Composer Fred Steiner was 43 and had already provided music for, among other series, The Wild, Wild West, Gunsmoke and The Twilight Zone. He was also the writer of the haunting theme to Perry Mason. 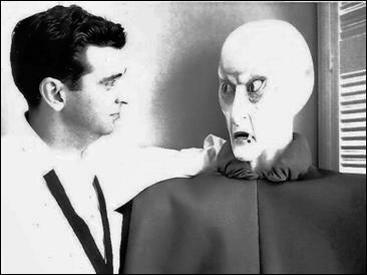 He recorded the score for “The Corbomite Maneuver” more than three-and-a-half months after the episode was sent into editing. Even at this late date, Steiner was conducting his orchestra blind, still without optical effects to project on a screen to show him or anyone else what the alien spaceships might look like. 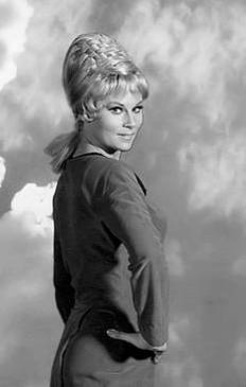 Because of the demands of editing a one-hour science fiction series, with post-visual and sound effects slowing the process to a crawl, three weeks were planned for each episode. This one, jam-packed with what a memo from Justman warned to be “staggering” optical effects, took much longer. The Howard Anderson Company, with the work being handled by Howard Anderson, Jr. and his brother Darrell, had been given the challenge of figuring out how to have the mammoth Enterprise dwarfed by a spaceship a hundred times bigger, and to create a smaller ship to tow the Enterprise. And a space buoy to block its way. And to conjure up more starship flybys, and transporter effects, and phaser effects, and explosions in space. And the Andersons were running into immense problems (detailed later). 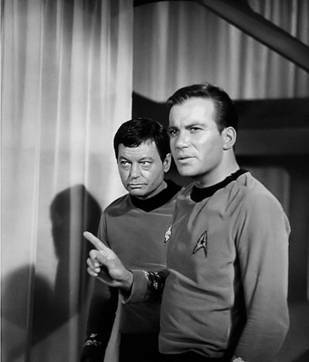 “The Corbomite Maneuver” cost $190,430, which was $3,070 under Star Trek’s initial first season per-episode studio allowance of $193,500, creating a cash surplus to draw from on future episodes. It would be needed. 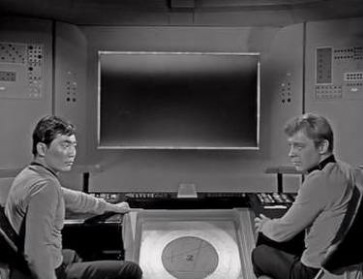 Despite Star Trek being one of the most expensive series on television in 1966, an inflation-adjusted budget of $1.35 million would not cover a show like this today. In 2013, a typical prime-time one-hour drama cost $3 to $3.5 million, with science fiction being on the higher end.